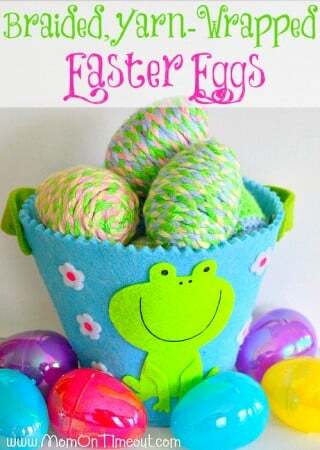 Egg Peeps are a super fun kids Easter craft! If you’re anything like me, you may have compiled hundreds of plastic Easter eggs over the years. And yet for some crazy reason, each year I buy more – go figure! 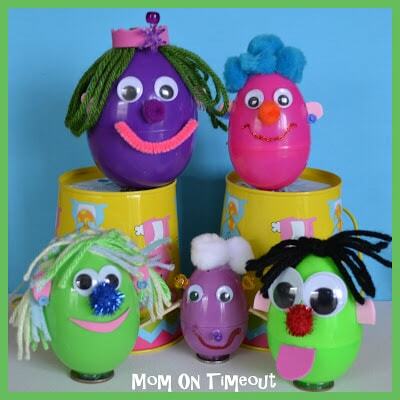 Egg Peeps are the perfect Easter craft to help utilize some of those extra plastic eggs you have lying around and a great way to spend the afternoon with your kids. My boys treated these almost like Mr. Potato Heads – adding appendages and hair and various noses to make each one wonderfully unique. 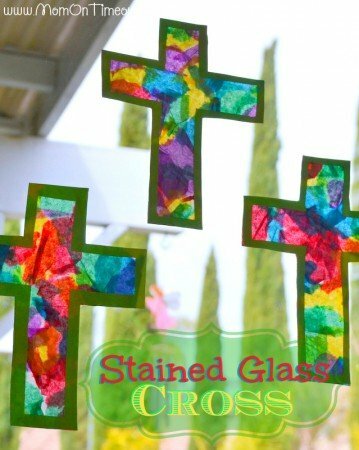 I hope you’ll give these a try because they are so fun, inexpensive, and make wonderful Easter decorations. Glue on any hair you might want. As you can see, green hair is totally okay. I even did braids on one of my Egg Peeps. Reece thought that since this purple egg was the biggest that she would be a queen so we made her a crown out of some foam and beads. Glue on some eyes and a nose. I think the size of the eyes and the nose makes the biggest impact on the personality of your Egg Peeps. We evened added some pink foam ears, and some earrings. The mouth is always tricky for me. I let Reece make the tough decisions and we used pipe cleaner, glitter glue, and foam on our various Egg Peeps. 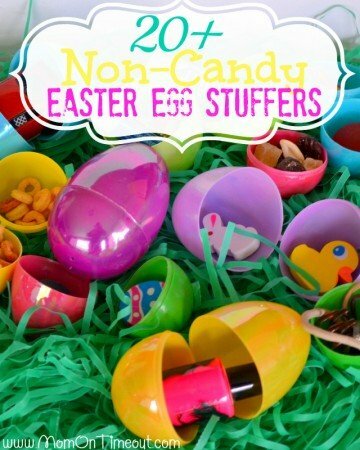 Just make sure that when you glue the mouth on that you are not gluing over the opening – you want to be able to still open the egg and fill it with treats! Check out the braids and bangs on this Egg Peep! Such a fun craft project and it really gets the imagination going! 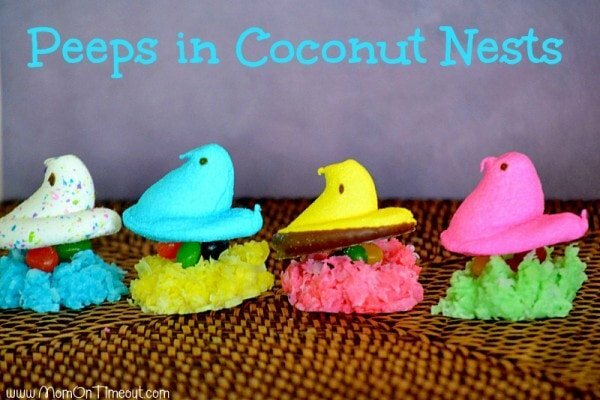 As you can see, each Egg Peep is totally different and has it’s own personality – so fun! You could use any glue Lynn but it would take forever to dry and you’d have to hold the pieces in place – that’s why I used hot glue. This is such a great idea! I have a little boy with severe food allergies and egg is one of them. We usually just decorate plastic eggs with stickers, but I am doing this this year! Thanks for the great idea! You are so welcome Jennifer – have fun! You always do such fun things with your kids! Those eggs look super fun to make. Haha! How cute! Glad to have you at Things I’ve Done Thursday!